Home Technology Telecom When Was the Last Time You Talked About How You Talk? For many brands, cloud adoption is well underway, leaving organizations facing a new complexity — learning how to work in a multi-cloud environment. If your brand is operating in this type of environment, there’s a good chance your telecommunications are fragmented. When cloud adoption first increased in popularity a little over a decade ago, many IT teams felt it was a now-or-never jump, and instead of considering what was going to work best for both the current and future status of their brands, they carried out adoption practices quickly and found themselves left with a hybrid telecommunication environment. By utilizing new technologies, it becomes possible to avoid hybrid environments. For now, let’s take a quick look at how to shop for cloud-based communication services and the benefits these services can bring to your company. Fortunately, it is possible to deter the complexities of working in a hybrid environment, and it starts with talking about how you talk. You must assess your existing telecommunications environment, followed by implementing several tips to ensure you adopt new services that streamline your communications and eliminate fragmentation. As of now, you’re probably using a different service provider for your business phone system, Internet connectivity, and even one for your data center. Service providers tend to market themselves as being specialized in one of these telecommunication areas, making you believe you need a different provider for each service; however, this is simply not the case and is where telecommunication fragmentation starts to form. Once the ball is rolling with all of these service providers, you begin seeing how each form of telecommunication overlaps with all of the others. And when you have different service providers, you have gaps where streamlining should be present. Most importantly, you see a major issue arise where these overlaps occur—a lack of bandwidth. A small to medium business cannot risk facing bandwidth issues. Telecommunications are just as important to a small business as it is a large Fortune 500 company, and with the telecom cloud-based market constantly shifting, it is more important than ever to choose a service provider that understands the complexities of effectively managing a fluid project. Cloud adoption strategies are influencing the majority of ITO deals over the next two years through 2020. And even though the market itself hit a period of stabilization in 2017, many organizations are still struggling to integrate cloud services into their overall IT infrastructure. Fortunately, cost optimization is becoming a high priority among IT cloud service providers and it is bringing forth substantial savings for IT buyers. For those who have yet to hop aboard the cloud adoption bandwagon, research indicates 60% of all workloads will be carried out via some type of hosted cloud service by next year (2019). This statistic alone proves cloud adoption is no longer a luxury for million-dollar companies. Instead, it is a common practice being carried out by businesses of all sizes. For those who are lagging behind, it’s time to jump aboard the cloud bandwagon. And because we are now finding ourselves working in multi-cloud environments, we must pursue strategies that increase agility, enhance scalability, optimize cost benefits, promote innovation, and support business growth. What Happens When a Single-Service Provider Is Not Available? As we pointed out above, choosing a single service provider to meet all of your telecommunication needs should be a top priority, but what happens when a single service provider isn’t available? This is when you must be particularly careful while shopping. You will want to choose one that provides services that can be seamlessly interlaced with your existing telecommunications. If you are going to upgrade your existing infrastructure, then you will, of course, need to make sure each service provider you choose has a system that integrates well with all of these soon-to-be implemented systems. Ultimately, the entire goal is to build a telecommunications infrastructure that optimizes all aspects of communication. 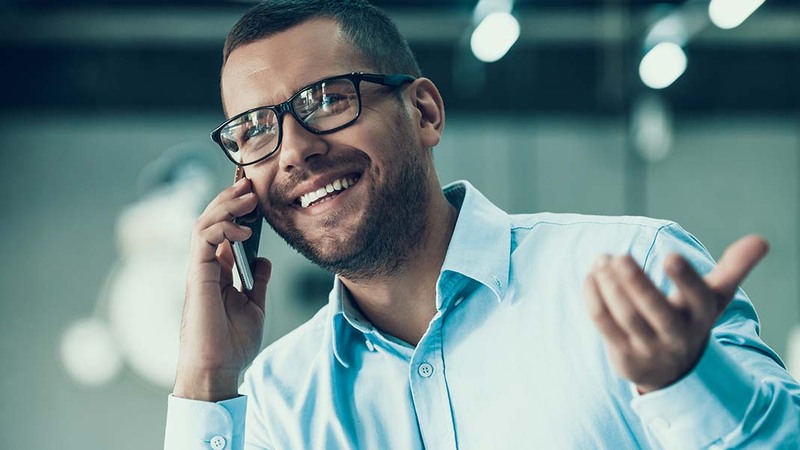 For example, with a new service provider, you may find you are able to connect multiple office locations, making it simple to communicate with all of your employees regardless of where they are located. Even better is that you can connect mobile employees to the office and their customers. And when telecommunications are streamlined, this enhances cost-efficiency, and most importantly, it leads to better customer service. Cloud-based communications that are worth pursuing are going to be those that feature scalability, a smooth customer migration path, seamless integration with third-party applications, standards-based protocols, and extensive communication capabilities. You can find an all-in-one provider of these services and if you happen to be in or near the Houston area, there’s no need to look any farther. Contact TTI now to learn more about our cloud-based communications systems and why we are one of the largest business phone system providers in Houston.